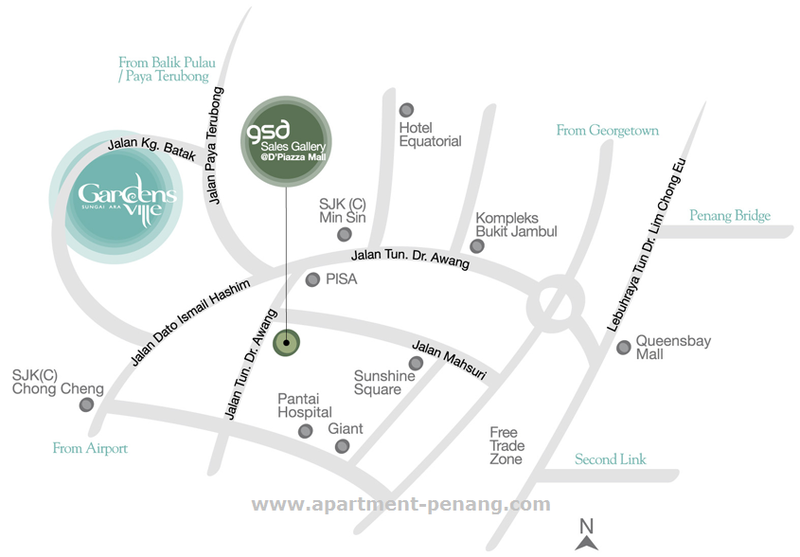 Gardens Ville is located at Sungai Ara, Penang, a project developed by GSD Land Sdn Bhd. Gardens Ville consists of two 31-storey condominium towers with a total of 476 units. 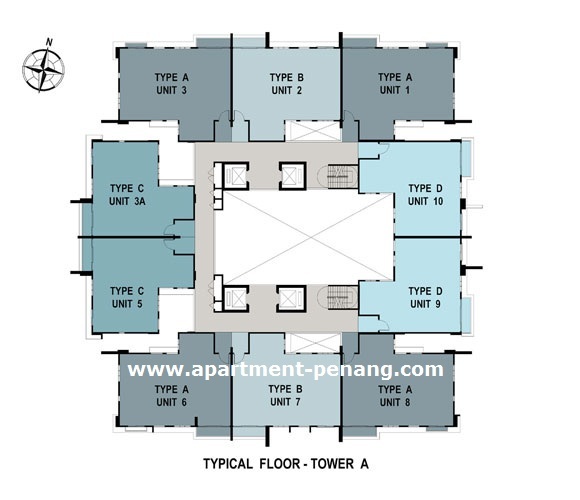 There are 10 units on each floor, each unit has a built-up area ranging from 1,115 sq.ft. to 1,270 sq.ft. with 4 design layouts to choose from. Facilities at Gardens Ville include reading lounge, gymnasium, swimming pool, multipurpose hall, games room, sauna, jogging trails, BBQ area, children playground and landscaped garden. Built-up Area : 1,115 sq.ft. - 1,270 sq.ft. Anyone knows the status of construction? The construction going to level 3 now & heard level 4 also coming! Very fast as i need my house asap! Hear that developer also give good quality furnishing for flooring. super fast development, constructing level 4 now. The land is still empty during launching Nov/Dec last year. feel free to visit and register as a member (owner only). How much 1 unit? Tq. 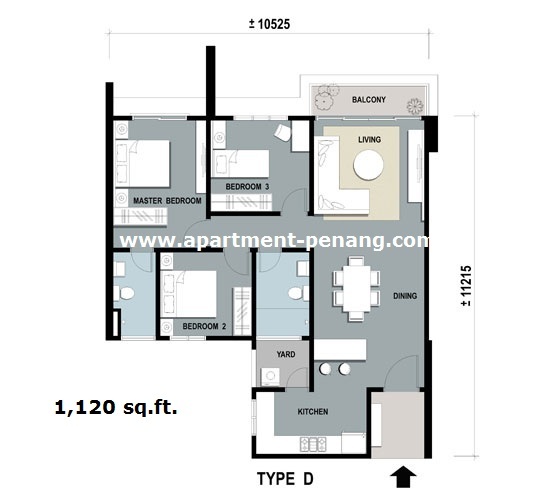 Any smaller sq ft unit 1100sq ft available, what the price offer by developer now. 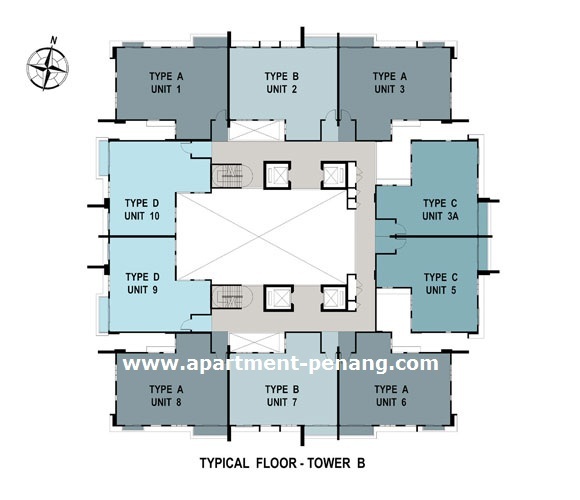 I have an unit at blk A lvl 8 1115sf 2cp for sale at RM590k nego. Interested? Please kindly contact Eric Goh (owner) at 0125748233. Thx! Block A middle floor, 1230sf with 2 car park for sale at 640K . Interested pls call me agent at 019-511 1155. Tq!!! I am direct owner and have a unit block A, 1115sf a 8th floor setial green hill view with 2 car parks for sale at 595K nego. Those interested please kindly contact me at 0125748233/0165659233. Thx! Bumi release frm developer are selling 740K. I have Garden Ville 1120sf, High Floor above 25th floor, 2 Car Parks asking for 610K negotiable. Interested can contact me. Why looking for affordable housing scheme that sale and buy is control by government when you can have a normal unit at affordable price? 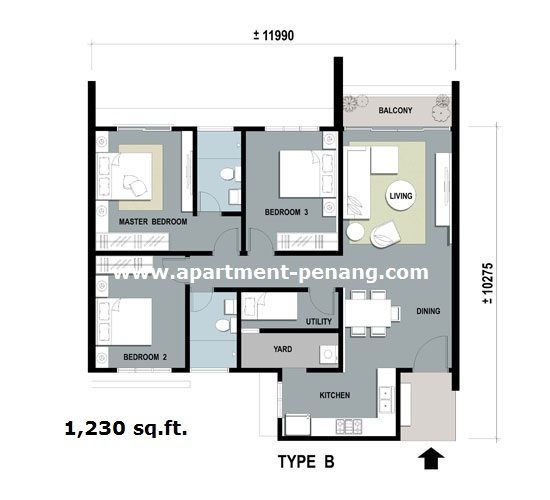 Block A 1115sf unit for sale. 2 car parks. Original unit selling for MYR 530 neg. Pls contact Mr Tan at 012 4222820. 2 adjoining unit of Garden Ville available for sale. 1115 sq. ft at only RM568K each, 2 car park. interested contact Chin @ 012-4937722. Direct owner - 2 adjoining unit of Garden Ville available for sale. 1115 sq. ft at only RM568K each, 2 car park. Hi all, may I know what is the plan of the empty land beside GV? One piece in the front is used for Chinese highschool, not sure about the one next to it. Dun compare to one imperial because this condo is better then that. This condo is nice to stay with its good environment and low density units. looking for 1230 or 1270sqft. Interested in buying a 1230sf unit in Gardens Ville, unit owner please contact me at alexander3133@hotmail.com. Owner only please, thank you. Hi, I have few unit for sale and rent, if you interest please contact or whatsapp me. HI, Would like to ask, the pump room is at which floor and which unit ya? 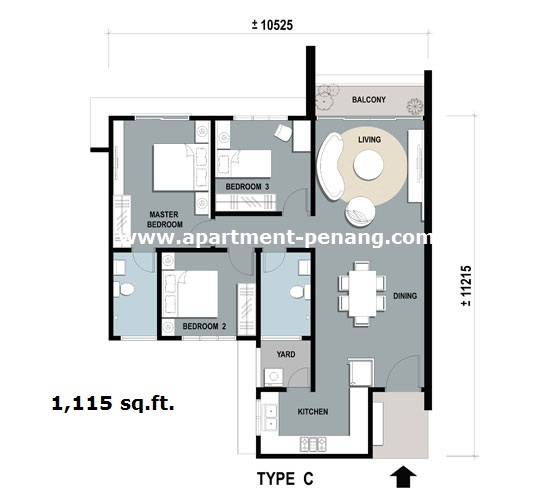 * 1270 sq.ft., 3 Bedrooms, 2 Bathrooms. * Biggest layout plan in Garden Ville. * High Floor (Above 20th Floor). * Corner Unit - Brighter, Windy & More Privacy. * The large laundry room is a bonus for extra storage space. Calling for more INFO & Arrange for viewing! 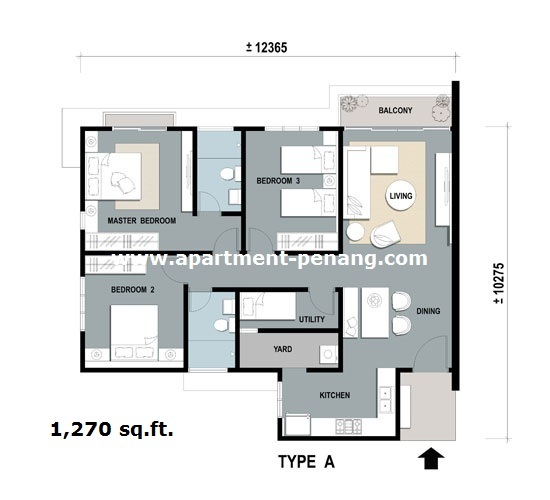 Gardens Ville, located in Sungai Ara, Penang is a boutique development consisting of Twin Courtyard Towers that is surrounded by a strip of Commercial and Retails Outlets. The 29-storey gated and guarded Twin Courtyard Towers comprises 476 condominium units that give residents the unique experience of enjoying a high-rise lifestyle overlooking a choice of hill, river or private garden views. Neighboring Skycube Residence, Sierra Residence, Imperial Residence, One Imperial, Zan Pavillion & Setia Green. Garden Ville for sale, cheapest in market. BU1230sf. Ori, nice view, high floor, 3+1 bedroom, 2 bathroom, 2cp. Serious buyer may contact 018-9807028.